Earlier this month, Missouri and St. Louis-area leaders wrapped up a trade mission to China. The trip was designed, in part, to revive the so-called China Hub project. 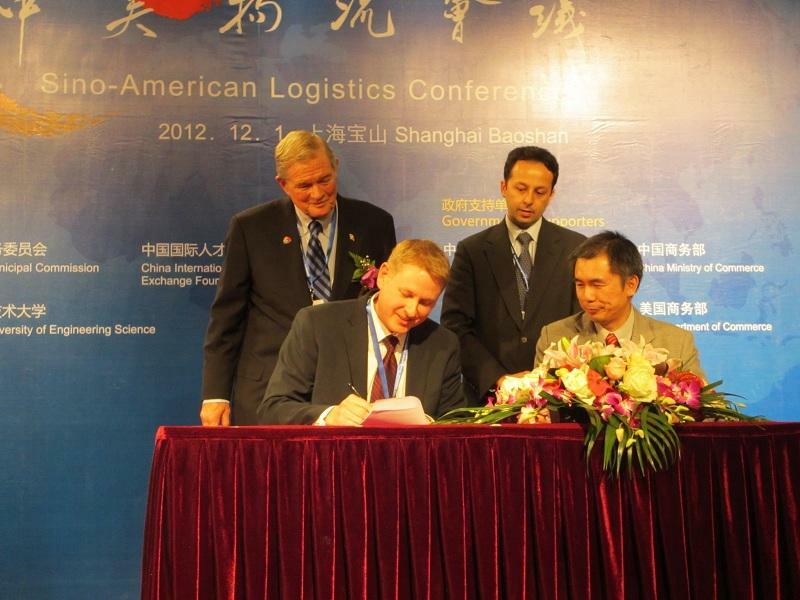 Members of the Midwest-China Hub Commission and the American Society of Transportation and Logistics signed an agreement in Shanghai to pursue expanding trade between the U.S. and China, and in particular adding new airfreight routes between the Asian nation and St. Louis. Host Don Marsh talked with former U.S. Senator Kit Bond of Missouri and Tim Nowak, Executive Director of the World Trade Center - St. Louis, about the opportunities and challenges of expanding trade with China. For more information on this trip see Marshall Griffin’s report. Missouri and St. Louis-area leaders are wrapping up a trade mission to China this week designed to revive the so-called China Hub project.